We’re proud to welcome you to our newly redesigned website. We took some time and reimagined how we wanted to present our brand and our products, and this is the end result. Our main priority during this project was making the website easy to use. The great content and graphics are an added bonus. Tools for industrial electronics are our expertize, and our focus. As you know, this differs from other electronics, because industrial electronics is mainly based on manufacturing and industrial processes. 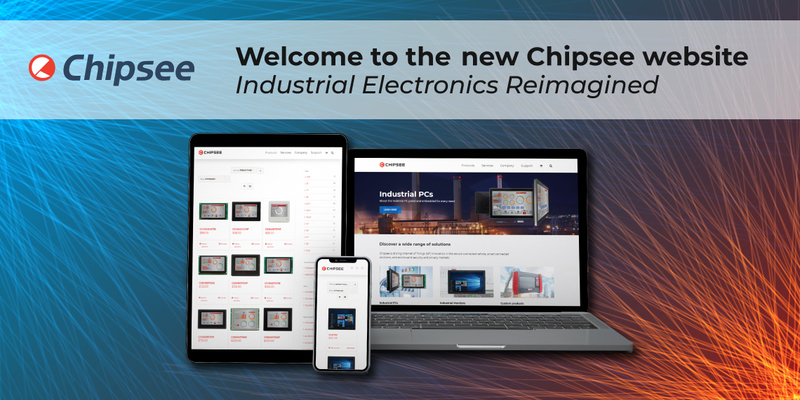 So, when you find yourself in the middle of a project, and you need reliable and innovative tools, the Chipsee product catalog is where you should look. Industrial applications call for special solutions, and components properties and nobody knows this as well as our team. With years of experience in the field, we have created products of impeccable quality and reliability. We wanted the new design of the Chipsee website to reflect this. That is why each page was carefully crafted and designed. From the layout to the content and the graphics.